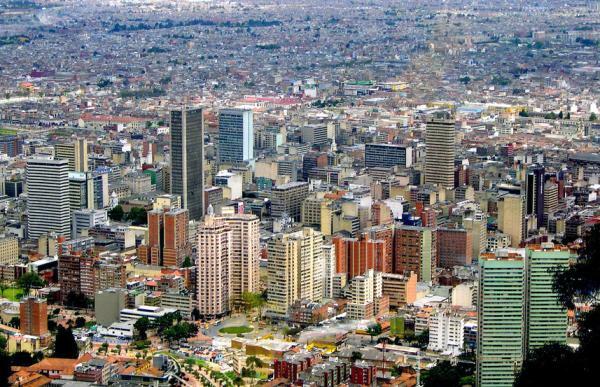 Bogota has lots to offer each of its visitors. Starting from the historic decent to the most modern parks, amusement parks, city centers, museums, churches, shopping etc to the important nightlife and parties, Bogota provides a perfect mixture of advancement, culture and history for everyone visiting the area. There are hundreds of places in Bogota that must be visited on a trip to Bogota. Finding out these places may be very confusing. The Banco de la República Gold Museum houses one of the most important collections of pre-Hispanic metallurgy in the world. As its history, which dates back to 1939, has unfolded, so this institution has become a symbol of Colombia's cultural memory. Its golden exhibition, fully renewed in November, 2008, is a place you cannot miss in your next trip to Bogota. The Marques de San Jorge, an important and renowned figure of Nueva Granada, lived in this area during Colombia's colonial period. His life is reflected in each object in this museum. The house has been preserved, and the objects on display are exquisite. It is located in La Candelaria area. Mundo Aventura (Adventure World) offers a fantastic world of amusement and excitement, for children and adults. Visitors can expect to be enthralled by a plethora of exciting rides such as the roller coaster, bumper cars, water slides, house of horrors and its main attraction, the 'Pendulum'. It also offers additional services, such as fast food restaurants and a large parking area. Museo Santa Clara is located in the Candelaria district, close to Palacio de Narino and Capitolio Nacional. The museum throws a light on the life of the fathers of modern Colombia who lived in this neighborhood. Visiting this place is like taking a step into Colombia's history. This small art gallery is situated in the old quarter of La Candelaria, inside a beautiful colonial house. The sober interior lends itself well to exhibited examples of contemporary Colombian art. There is very good restaurant on the first floor of the restaurant. This church is in the heart of the Candelaria, Bogota's historic center. Its construction reflects the refined mudejar style. The interiors are notable for the delicate work in the central retable and the choir loft. The Gardens are situated near Parque Simon Bolivar. The beautiful grounds offer a comprehensive selection of Colombian flora. The greenhouse is very well-constructed. It recreates all the different climates found in the country. The visitor will experience severe changes in temperature while moving between sectors within the greenhouse. If you get hungry, there is a good restaurant within the grounds. This lagoon is located in the old crater of a volcano and is surrounded by mountains and thick vegetation. It was here that the Guatavita Indian chief covered his body in gold and submerged in the water, as part of a ritual to honour his wife who, according to the legend, lived at the bottom of the lake. Colombia. Adventure travel on bike. Daily bike tours, night bike tours. Adventure racing bike. Patios school. Cundinamarca bike. To ciclovia whit us. The funniest way to discover the city. A lively neighborhood section of the city that features small shops and ancient churches. The neighborhood includes a number of attractions including The Plaza de Bolivar, The Bogota Cathedral. The Gold Museum, The Fundacion Botero, The Religious Art Museum, The Coin House, The Library Luis Angel Arango. The carnival is held in August to celebrate the founding of Bogota. The carnival brings festive mood into each and every person. You will fins parades of folkloric groups, music and dance representing the cultural manifestations of the city and its history. Most of the cultural events take place in the heart of Parque Metropolitano Simón Bolívar. The streets will be filled with dance, music and games which will be organized by people from all parts of the country. "Expoartesanías is the place to find the best traditional and modern Indian and Afro-Colombian handcrafts. It offers products made of different natural raw materials like: fibers, fabrics, wood, silver, gold, ceramic and stone, among others. From the beginning in 1991, the main objective of 'Expoartesanias' has been to lead handcraft product trends in the market." Bogota is also famous for bullfights. This might not be interesting to all, but for those who are interested in bullfights, Bogota can be the right place to experience lots of bull fights around the country. Colombians love the challenge between the bullfighter, matador, the torero and the bull. The season of bullfighting starts from January. The Republican architecture is very well displayed in the Palace of San Franssico. The style was popular in the early 20th century. This palace was later declared a national monument is the year 1984. Currently this is occupied by one of the largest schools in the area.